Director Renee Mao has landed her first representation, joining bicoastal production and post company Greenpoint Pictures which will handle her globally. Mao is an Australian filmmaker based in NYC whose directorial work is marked by narrative-driven visual storytelling that often tackles emotional, intimate subjects. Before moving to NYC, she spent several years living in Beijing, to which she credits the beginnings of her creative pursuits and distinctive visual style. Mao’s body of work reflects her dedication and passion for creating commercials and films which promote social causes. Her latest project is “We Won’t Stop,” a fierce, emotional and rhythmically-driven anthem for March of Dimes that depicts real women in their journey before, during and after new motherhood. The director’s short film Dear Mr. President, which features elementary school students voicing their concerns in letter form to President Donald Trump, was featured on Huffington Post. Her portfolio of work also includes branded content for clients such as Google, Pepsi, Chivas Regal and Meals on Wheels. 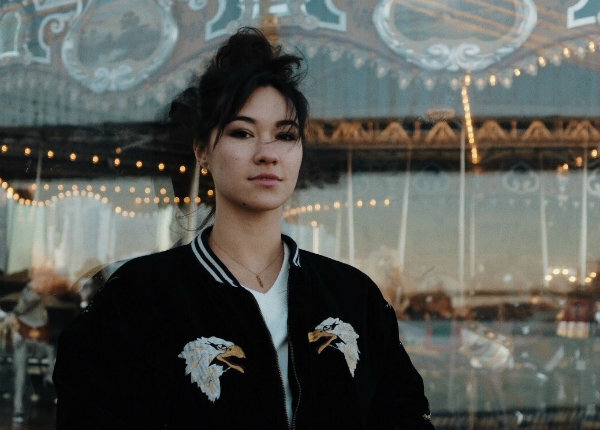 Mao kicked off her commercial directing career in-house at Greenpoint Pictures and her creative and collaborative process is informed by her roots in DIY filmmaking and her extensive experience working in every department from production to post. While attending New York University’s Tisch School of the Arts, Mao had short films premiere at festivals all around the world including NFFTY, winning several awards including Best Cinematography at the First Run Film Festival.